It seems a majority of misinformation and trails of special interest money comes from the Republican Party, but some Democrats are also knee deep in the same kind of swamp. New York Senator Chuck Schumer has taken a lot of money from Facebook employees. 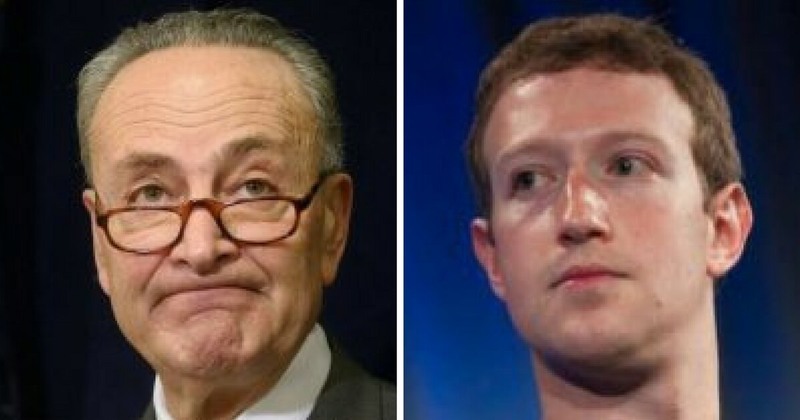 In fact, during Facebook’s lobbying campaign to limit damage from Russian interference, the Cambridge Analytica information leak and other issues, Facebook employees gave more money to Schumer than any other member of Congress, according to a report by the New York Times. Schumer supposedly lobbying other members of Congress in favor of Facebook during Senate hearings. Facebook worked ferociously to limit the damage from Russian interference, and attacked big donor to the Democratic Party, George Soros, accusing him of being behind an anti-Facebook campaign. So Facebook both lobbied Democrats for help and ran smear campaigns against Democratic donors. Whatever they had to do, it seems, they were willing to do it. The New York Times reports that Facebook knew about Russian interference as early as the spring of 2016, even as Facebook Chief Officer Mark Zuckerberg declared it a crazy idea. Facebook collected data on Russian interference for more than a year before going public with what they knew. Facebook’s lobbying campaign included the hiring of Democratic Sen. Mark Warner’s former Chief of Staff to lobby Warner, but it’s not clear whether they were successful or not. The Times did report that at one point Schumer told Warner to back off and try to work with Facebook. The Republicans, it seems, may have been seen as less a problem to Facebook that the Democrats and, perhaps, that is why their lobbying effort targeted Schumer. In fact, as far back as 2015, Facebook showed it fear Republicans, especially Donald Trump. Even though Zuckerberg disliked a post Trump made about banning Muslim immigrants, he was compelled not to remove the post, and he did not. So, Facebook knew about Russian interference on its platform long before going public. Facebook used a smear campaign against George Soros and lobbied members of Congress in an apparent effort to make Senate hearings less damaging. It’s difficult to believe Facebook is not guilty of other shenanigans that have yet to come out. We may never know. Next If Mueller’s not closing in, why are so many people ready to pack their bags?